The Fifty Best held a “blind” tasting of ten 100% blue agave blanco tequilas with twelve members of The Fifty Best's spirits judging panel. Strict tasting rules were applied. The order of service was established beforehand by lottery. Each of the tequilas were poured into fresh glasses from new sealed bottles, and served at slightly above room temperature. Only ice water, neutral unflavored crackers and chips were available to cleanse the palate. Aroma: Praline, berries, citrus, clean agave, floral, botanical, fresh-cut grass, herbal, vegetal, mint, spice, roasted, volcanic soil, wood, clean, bright. Palate: Praline, vanilla, honey, apple, sweet agave, sweet plain potato, vegetal, herbs, mint, fennel, cinnamon, pepper, earthy, mineral, wet stones, complex, rich, silky. Finish: Honey, cocoa dust, vanilla, sweet agave, papaya, herbs, tarragon, pepper, earthy, woody, rich, smooth, happy mouth of flavors. Aroma: Honeydew melon, pear, citrus, agave, bubblegum, floral, cut grass, deep earth greens, vegetal, pickled green beans, sweet herbal, mint, anise, peppery, mineral. Palate: Caramel, sweet cream, honey, buckwheat honey, agave syrup, pineapple, citrus, papaya, lime rind, green beans, dried herbs, dried grass, grassy, mint, anise, peppercorn, white pepper, peppery, light sweetness, roasted, silky. Finish: Green apple, grassy, earthy agave, sweetness, vegetal, mint, cinnamon, spicy, peppery, earthy, smooth, mild. Aroma: Chocolate egg cream, mesquite honey, pear, saguaro flowers, floral, dried fermented plantains, green olive, grassy, dried herbs, mint, buckwheat, oak, earthy. Palate: Mexican chocolate, cream, honey, candied apple, papaya, pineapple, dried figs, anise, fennel, cinnamon, chicory, green beans, dried herbs, tarragon, white pepper, peppery, mesquite, mineral, earthy, velvety mouthfeel. Finish: Soft tart apple, cream, citrus, agave, honey, wildflower, floral, vegetal, mint, spicy, pepper, earthy, wholesome body, crisp, sharp bite, transitions from peppers to honey. Aroma: Caramel, white toffee, café au lait, Baker’s chocolate, lime, guava, fruitiness, mint, spices, pepper, mineral. Palate: White toffee, praline, caramel, bitter chocolate, creamy, vanilla, honey, lingonberries, blueberries, apple, papaya, earthy agave, roasted pepper, licorice, sandalwood, moss, grassy, fermented wood. Finish: Sweet cane, creamy, honey, bitter chocolate, earthy agave, spice, peppery, concentrated pepper oil, round, smooth. Aroma: Vanilla, clotted cream, juicy fruit, cherry, fruity, agave, floral, botanical, gardenia, vegetal, grassy, mint, peppery, light toast, earthy, wet jungle. Palate: Vanilla, sweet cream, pineapple, earthy agave, café au lait, honeyed herb, grassy, licorice, fennel, basil, bay leaf, clove, peppercorns, peppery, smoky, fresh oak. Finish: Egg cream, apricot, grassy, spearmint, anise, peppery, sandalwood, leather, mineral, earthy, soft, smooth, clean, beautiful. Aroma: Café au lait, Baker’s chocolate, vanilla, red delicious apple, orange peel, citrus, mango, agave, rose, floral, licorice, dried herbs, rosemary, grass, mint, spearmint, peppery. Palate: Vanilla, cream, sweet cream, buckwheat honey, lemon, citrus, agave, green olive, licorice, anise, mint, dried herbs, tarragon, pepper, coffee, leather, well water, black salt, clean, crisp. Finish: Cream, whipped cream, earthy agave, plantains, raw wheat, citrus, wintergreen, mint, pepper, peppery, black salt, soft, smooth. Aroma: Chocolate dust, cocoa, caramel, cannoli cream, vanilla, candied melon, fresh cut fruit, black cherry, pineapple, dried fruit, fennel, sweet bread, herb, fresh grass, wet grass, earthy, tropical. Palate: Toffee, whipped cream, creamy, vanilla, honey, candied melon, citrus, dates, dried fruit, licorice, fennel, herbaceous, sandalwood, nutty, pepper, wet hay, tobacco, wet stone, mineral, oaky, woody. Finish: Creamy vanilla, fig, grassy, bay leaf, herbaceous, mineral, clean, crisp, flavorful. Aroma: Papaya, guava, dried fruit, vanilla, mint, spearmint, green olive, peppercorn, black pepper, peppery. Palate: Vanilla, creamy, honey, lime, citrus, figs, dates, roasted peppers, honeyed herb, dried herbs, tarragon, dried flowers, sweet anise, cinnamon, spice, black peppercorn, olive oil, mineral, lightly smoky, earthy, complex. Finish: Agave, apple, licorice, mint, peppery, soft light toast, wet stone, bittersweet, flavorful, clean, smooth, very approachable, superb. Aroma: Honey, creamy, sweet butter, apricot, apple, citrus, eucalyptus, mint, menthol, anise, juniper, peppery, white pepper, mineral oil, clean. Palate: Soft toffee, vanilla, sweet cream, honey, herbal, dried herbs, licorice, fennel, vegetal, spinach, grassy, pepper, earthy, dry bark, stone. Finish: Herbs, broccoli rabe, black pepper, spicy, smooth, soft, easy. Aroma: Praline, sweet candy corn, cream, vanilla, poached pear, papaya, berries, citrus, floral, flowery, botanical, jasmine, spearmint, anise, sweet hay, grassy, roasted pepper, peppercorn, mineral, clean. Palate: Caramel, toffee, honey, earthy agave, citrus, herbaceous, light dried herbs, mint, tarragon, cut grass, anise, licorice, Mexican amaro, spice, tobacco, wet stone, mineral, earthy, classic. Finish: Cream soda, fennel, anise, mint, wintergreen, grass, pepper, smoky, woody, smooth. Like Mexican culture itself, Tequila is the result of a creative encounter between two worlds, although it is likely that Mexicans would not be inclined to refer to it as creative as much as confrontational, an imposition and, reluctantly, a conquering. The ancient indigenous peoples of this romantic country drank the fermented juice of the agave in the same way that Europeans drank beer or wine. In colonial times, the Spanish came, they saw, and they introduced the distillation process to obtain the liquor now known as Tequila. It may be referred to in some circles as Montezuma's Legacy, but the fact of the matter is that it was crafted and refined by the Spanish who, while spreading their culture, were intent upon maintaining their love of intemperance and serious drinking. How Tequila is Made: Tequila is a spirit made by fermenting and distilling the juice of the Blue Weber Agave plant. If you are getting ready for that next tasting party at your home or simply are desirous of furthering your education about Tequila, know that it takes 8 to 10 years for a blue agave plant to reach maturity. It is grown in an officially delimited region of west-central Mexico in the five states of Jalisco, Nayarit, Tamaulipas, Guanajuato, and Michoacán. The blue agave, contrary to what many are led to believe, is not part of the cactus family, so stop looking around the deserts of Arizona to impress those traveling with you. Mezcal, interestingly enough, is the Aztec word for the agave plant but it is not a Tequila, although Mezcal comes from the agave plant it is from outside the delimited area. All Tequila is mezcal, but not all Mezcal is Tequila. The juice-filled cores are then harvested, trimmed, cut in quarters, baked in steam ovens until their starch converts to sugar, at which point they are pumped into fermentation tanks and combined with cane sugar and yeast. So much for the calorie count. The more sugar that is added (up to 49% of the mixture) the less pungent the Tequila will be. Sugar is never added to the fermentation of 100% blue agave tequilas. If it doesn't say 100% agave, it can still be called “tequila”, but it’s considered a “mixto”. All Tequilas are double distilled in pot stills (a few utilize a triple distillation, and several use a continuous still), and the second distillation converts the liquor into clean, white high-proof spirit. This Tequila is filtered and its alcohol strength adjusted with demineralized water that brings it to its bottling proof, (usually 80). The end product must be - make that should be – at least 51% derived from that plant, although most bottles will be labeled 100%. – Blanco, (also referred to as White, Silver, and Plata) is colorless, with little or no aging. Blancos are usually bottled right after distillation, and are a great choice for mixed drinks. 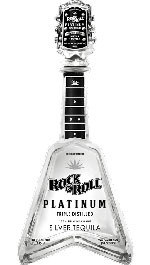 Blanco Tequila comprises about 86% of the Mexican market. – Joven (or Suave or Gold) is un-aged Tequila to which select cane sugar or caramels have been added for that tawny color you occasionally see (mixtos). Jovens can also be a blend of blanco and reposado Tequilas, and allowed to settle in the tanks for a few weeks before bottling. They are also perfect for mixed drinks and tend to taste a little sweeter than Blanco. – Reposado is aged in wood tanks or barrels for at least two months, but no longer than one year, as required by the Mexican government. Many reposados average six months. – Añejo must have at least one year in wood. Each distillery has its own preference for the type of barrel used in aging. Most are made from French oak or white oak. It is proper to order an Añejo straight up, and sip it slowly so it can best be enjoyed. – The newest classification is Extra-Añejo, which are aged for more than 3 years. 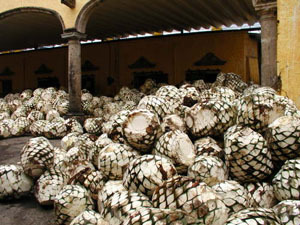 – All tequilas start out as Blanco, with portions set aside for aging. The word "tequila" is owned by the Mexican government. Tequila labels usually bear the letters- NOM (Norma Official Mexicana) which are the initials of the Mexican government agency and serves as a quality seal to verify that the Tequila conforms to the laws and standards governing tequila production. Examine the bottle's label for it. In general, 100% agave means better quality, flavour, taste & purity, with no additives. In 1995, 100% agave represented only 15% of the entire production of tequilas. Today, 100% agave tequilas represent more than 50% of the total production. So you can see were the trend is going. The Art of Tasting Tequila: The Tequila Shake – Don’t swirl, place your hand over the mouth of the glass and shake the liquid to release its aroma. Drink at room temperature to judge the products properly.